Snow removal can be a fantastic way to keep seasonal workers busy and keep your company name fresh in the minds of your customers. 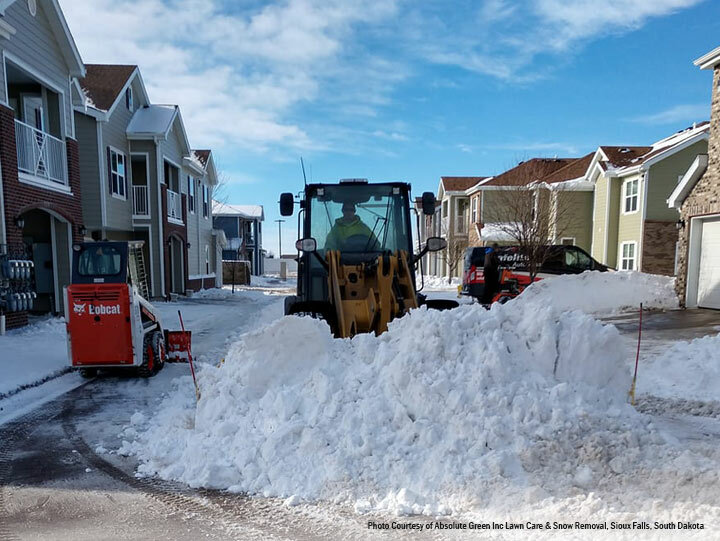 Whether you’re completely new or even somewhat new to taking on this service for your clients, learning ways to maximize your profitability in snow removal is job one. The biggest piece of advice any snow expert can give you is to prepare. For example, it’s vital to visit your clients’ parking lots, building locations and islands before it snows. Ask the customer where the snow should go: Your customer should know where to put the snow, but you’re responsible for making sure that the place to pile snow isn’t over a drain, won’t cause a hazard when it thaws and refreezes, as well as won’t limit visibility for drivers. Invest in ground stakes, in fluorescent colors: If one of your customers has islands within their lots, invest in ground stakes to mark those and other obstacles. You can find them online or at your local hardware store. Place these stakes on the edge of the islands, utility boxes or near trees so you know where to add extra care during a blizzard. Consider a good set of snow tires: You want your tires to get a good grip on the road when it’s snow covered or slick with ice. And snow tires aren’t just for maintaining grip while plowing, but also to prevent you from sliding into parked cars and light poles. It’s happened … many times. The use of snow tires will also greatly improve the time it takes to clear the job site. That time savings will translate to great profitability for your business. Make sure your operator(s) are comfortable with running the equipment: Know the machine and snowplow attachment by scheduling training courses. Practice mounting the plow to your machine and maneuvering it so it’s second nature when you’re out in the middle of a storm. Are you bidding on low snow tolerant facilities? Read this blog to learn what you need to know. Don’t pile snow that will make it hard for drivers to see around: Your pile should be at a place that doesn’t block drivers’ visibility at a stop sign or traffic light. Don’t pile snow against a wall or a building: You need to push your pile away from the building, so it’s easy for you to move it to the designated snow area without scraping against the building or wall. Tackle the storm as it hits: It’s hard to get out of bed when the wind’s howling, the snow’s swirling and you’re toasty warm. But if you wait until the morning after the snow stopped falling, you’ll be dealing with hard snow that’s packed and difficult to plow. Plus, if you need to have your customer’s lots cleaned by the time a shift starts in the early morning, you’ll also have to face an angry property manager/owner. If you’re shoveling sidewalks as well as snow plowing, clean the walkways first: While shoveling, move the snow to the curb, so it’s easy for a snow plow operator to pick up when they make their pass along the curbs. Back drag those hard-to-straight-plow areas first: To make a good use of what we call cutting-edge downtime, back drag any areas that are difficult to access out to more open areas where you can pick it up on a straight-out run. After moving snow away from the building, then work on the parking lot: Once you have the front of the building clear, you move to the center part of the lot to start plowing snow. Make one pass down the center part, then back drag making windrows and pushing the snow to the outer edges of the lot. Then you need to go down the same area again. You can break down a large parking lot into smaller chunks to make the job simpler and faster. Remember, don’t pile snow in the middle of the lot. It’ll be too heavy to move after you’re done clearing it. Learn how to maximize your plowing efficiency while lowering your dependence on rock salt. SnowWolf Plows use the latest in snow plow design to make cleaning off parking lots fast and straightforward. You save time and keep your blade on the ground longer with our Autowings and snow plows. You can find our plows at your local dealer, or you can call our customer service at 1-800-905-2265. We also have a contact form you can fill out for us to reach out to you.